Along with my birthday came a great surprise, and some great coworkers. I knew they were up to something because I had gotten suspicious emails asking what time I would be in, and if I could free up some time around 11 to have a meeting (make sure you’re free!). Nice try, guys. I was expecting a cake or cupcakes made by one of our chefs, but I got something better (yes, there is something better). CREAM PUFFS! My boss loves to inform everyone of the new IT thing, and oops, she did it again with my birthday treats, and a hint for a new blog. Beard Papa and Pacific Puffs have become quick San Francisco favorites (though I may be slow to pick up the trend) and both offer delicious variations on the traditional pastry delight. 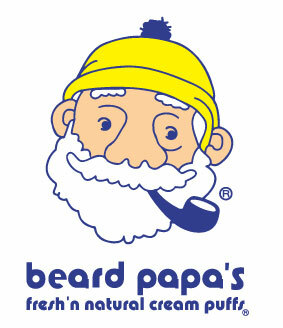 Beard Papa offers Vanilla and Chocolate daily but rotate between Caramel, Green Tea, Coffee, and Strawberry weekly. Pacific Puffs, a San Francisco-only shop, keeps it more traditional with Classic, Classic Sugar, Chocolatier, Chocolatier Sugar, Fruit Whip, and Fruit Whip with Sugar. The ‘Sugar’ option is a sugar topping instead of chocolate glaze. The Fruit Whip puff is a pastry filled with seasonal fruit and whipped cream. I was only able to try the original from Pacific Puffs but ate myself into a sugar high and bounced around the office before slipping into a post sugar rush coma, for the afternoon. 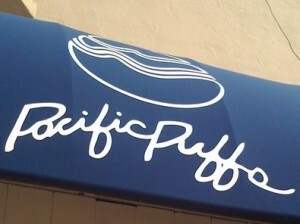 Beard Papa definitely takes the cake for their flavor variations and fill-to-order technique, but the general consensus in the office was a win for Pacific Puffs! Everyone loved that the pastry cream was luscious and rich without being too sweet, particularly when combined with the sweet chocolate topping. . Pacific Puffs makes their cream puffs in small batches so you are guaranteed to get one fresh when you make the right decision to go and try out these little puffs of heaven. 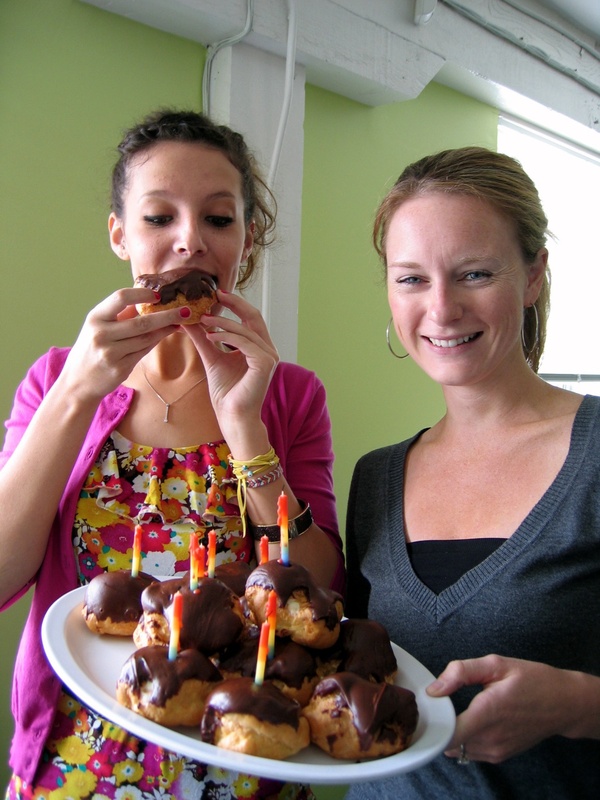 Cream Puffs are SO the new cupcake.